G-CAS! Sew Excited! : Welcome to my new BLOG! 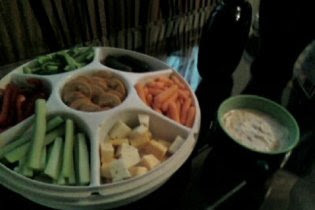 I guess it's about time I got it together and posted a blog! A free blog that took all night to build! Did I mention Free? Anywhoooo... Since my website was taken down, I haven't really been able to communicate with you. Lots of you have expressed an interest in what I'm doing, wearing, making and lately cooking! That's right, I said it - COOKING!! It's a slow process but my family is still alive and kicking. 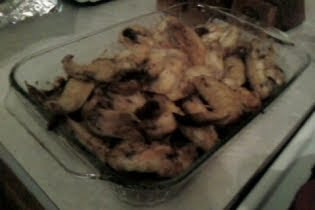 (Lol) This past November I cooked Thanksgiving dinner. All by myself and even went to the grocery store and didn't freak out. 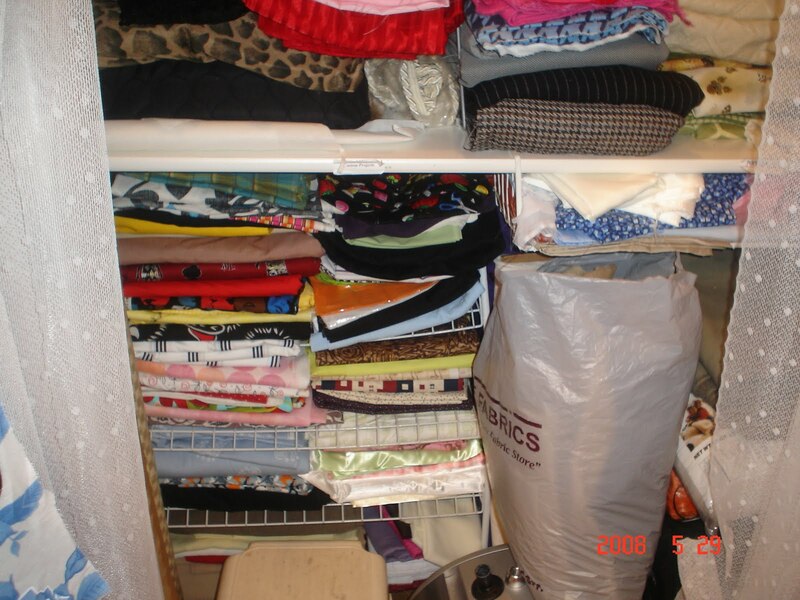 I want to let you in on my sewing and personal "sewing" adventures. Which may be quite interesting considering that's all I do. (It's my day job). I will post as many things as possible (as time will allow) and some upcoming student work and whatever I'm feeling. So sit back and relax. 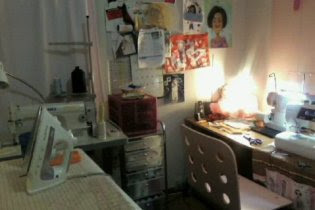 I'll start with some pics of my sewing room and info on my machines. This is the back of the room. 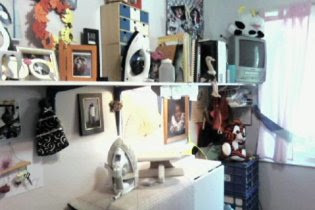 Where there are more things and pictures of my loved ones and some of my work. (Notice how neat and clean.) C'mon folks, it's a picture. The TV in the upper corner, a "surprise" from the hubby. I can't sew with the TV on. I don't get anything done! Here is where the "Magic" happens. When and if I'm not interrupted. 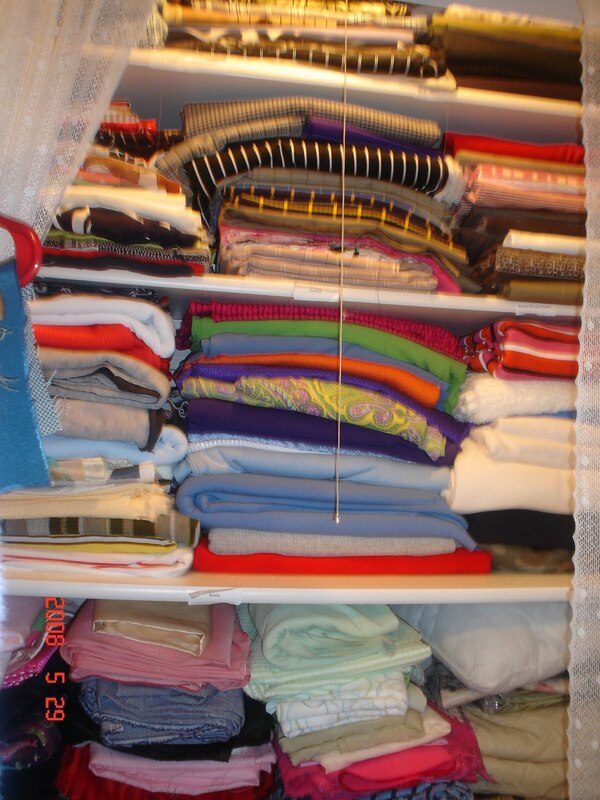 I have a Janome 2160 sewing machine. It's smooth an quiet which is great of "all nighters". I have Juki industrial medium/heavy weight straight stitcher, an industrial blind hemmer (not pictured) and a jacked up Singer Pro Finish serger. (feel me? - That's out the door REAL soon!). My machines are faithful and don't fail me. I also own a vintage Singer featherweight. It's pictured above in my little office space. (It workzzzzzz!) She's retired now. 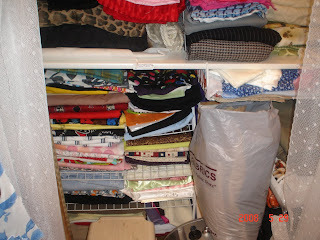 Here is my fabric Closet - it goes from ceiling to floor. I'm addicted. I'll be posting periodically and would love for you to leave comments or mail me with questions. I would luv to hear from you. Thanks for stopping by! Hi Carol, Happy to find your new blog! 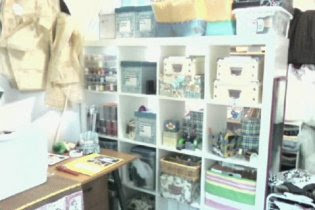 I love your sewing area. Can't wait to see & hear more from you, it's always fun to find fellow sewist.